An incubator for the city's best food-and-drink artisans with a light and breezy atmosphere and a bakery rivaled only by the original Tartine. 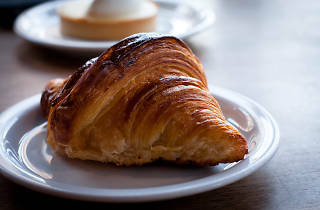 Breads and baked goods are only two of the stars at Tartine Manufactory, a breezy warehouse space housing an ice cream shop, bar and restaurant alongside the bakery. 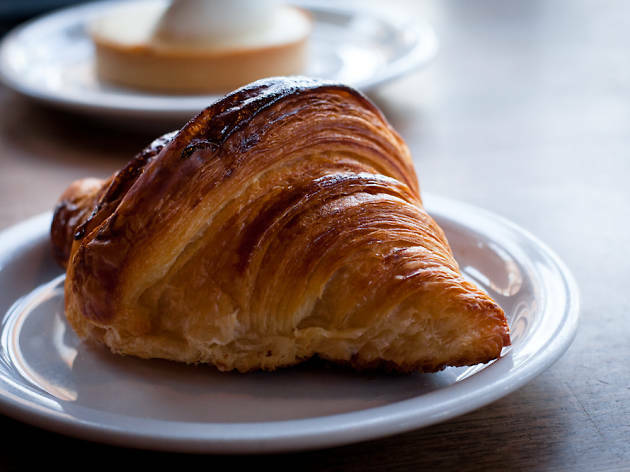 Open daily for breakfast, lunch and dinner, Manufactory’s proprietors (owners of the famed Tartine Bakery) have made the space into an incubator for food and drink artisans. Though not your typical restaurant, Manufactory still serves up some of the city’s best cuisine including tartines, sandwiches and salads during the day and creative comfort foods, like bone marrow with toast at night. In the evening, after the crowds die down, the ambiance turns downright dreamy. Designed by architect Charles Hemminger—the genius also behind Progress, Cala, and State Bird Provisions—the wood-on-white space is somehow both chic and calming where giant orb paper lanterns glow overhead, glinting off the white Heath tiles and Doug fir beams.